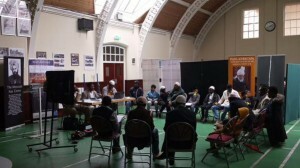 On 28th March 2015, members of PAAMA, UK Midlands Region converged at Darul Barakat, Birmingham, for a Tarbiyyat and Taleeem Forum. 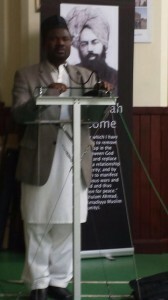 After Tilawat by Hassan Muhammad Sahib, and English translation by Salvator Idris Sahib, PAAMA President for the Region, Toby Sahib, delivered a short welcome address in which he highlighted the purpose of the event as an effort to bring together members of the Association to deliberate on issues that would remind them of their duties and responsibilities as Ahmadi Muslims. Most of the selected topics were addressed as open discussions, which enabled participants to exchange very solid views on pertinent issues. During a discussion on the importance of prayers, participants stressed the importance of performing Salat as one of the key factors of every Muslim’s faith. 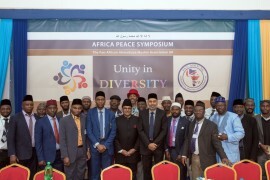 It was unanimously viewed that as Muslims, we should not only focus on our individual performances of such a core value of our faith, but to make it a point of duty to inculcate such a habit in other members of our families. Particular emphasis was also laid on the importance of performing Salat on a regular basis and in the prescribed manner. 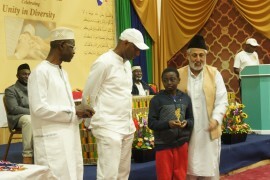 Participants also had a very elaborate discourse on the reasons they have become Ahmadi Muslims, as they expressed the grace in embracing such a noble Jama’at. 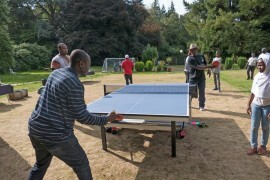 After lunch and Zuhr and Asr prayers, men and women participants had separate discussions on E-safety. While recognising the benefits of the Internet in modern society, participants of both groups also pointed out that it continues to be a menace in many aspects. Delivering the concluding speech, the Regional Missionary in charge, Maulvi Abdul Ghaffar Sahib, cited the importance of attaching ourselves and family members to the Jama’at. He pointed out the fact that the current chaotic world situation characterised by so much turmoil and conflict is highly attributed to the lack of proper leadership. However, we as Ahmadis are blessed to have the guidance and leadership of Khilafat. He stressed that the need for every Ahmadi Muslim to follow the guidelines and admonishments of Huzur (atba) cannot be over-emphasised. According to Ghaffar Sahib, it is incumbent upon us as Ahmadis to attach ourselves and family members to Khilafat, in order to overcome the challenging temptations of modern society. 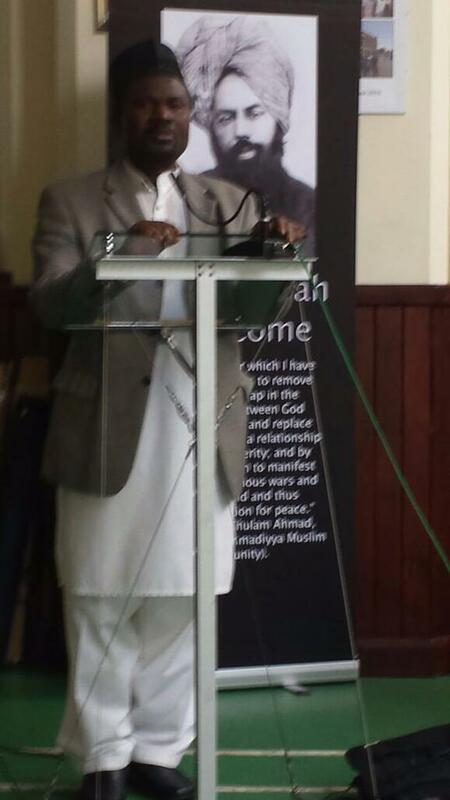 In conclusion of the programme, Maulvi Abdul Ghaffar Sahib led the forum in silent prayers.